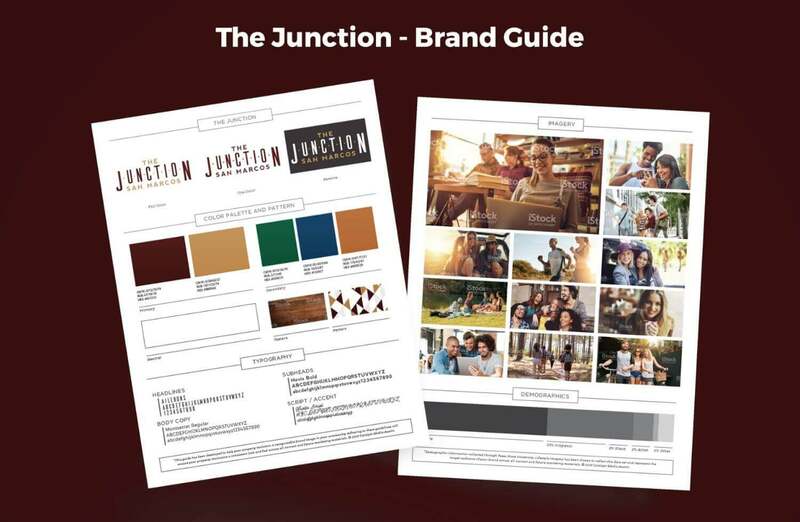 Originally The Reserve at West Avenue, The Junction was acquired by Campus Advantage and, per the sale, needed a new name and brand in the market. 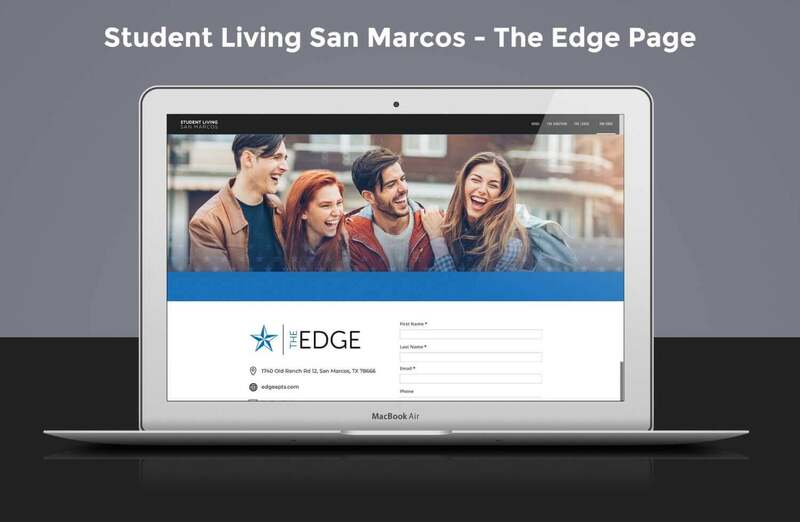 Catalyst was engaged to rebrand the newly acquired 152-unit property in the San Marcos, Texas, market serving students at Texas State University. 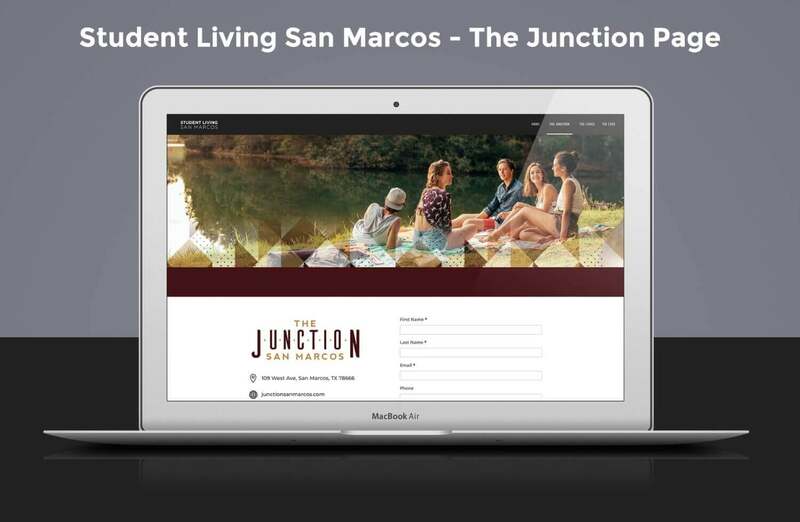 The Junction was chosen due to being the halfway point between San Marcos and Austin, as well as the high train activity in San Marcos. 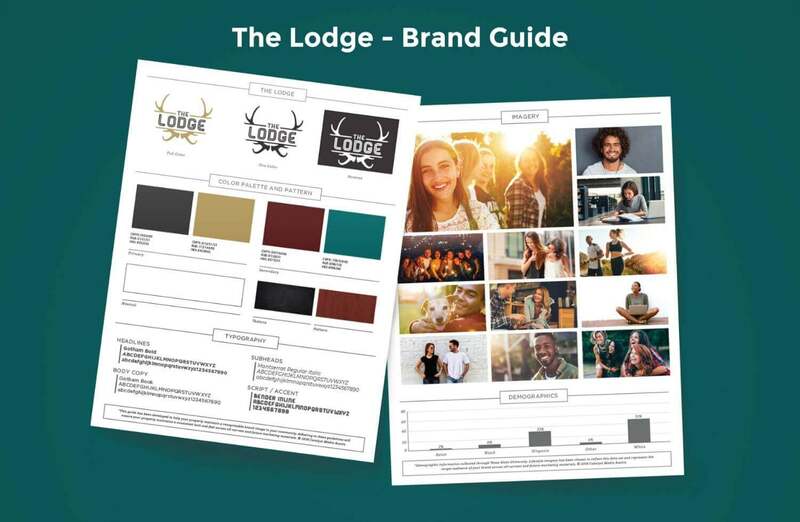 In addition to renaming the property, Catalyst created a new logo, a brand guide, a website, and marketing collateral that all incorporated a new color palette inspired by the Texas State colors of maroon and gold. 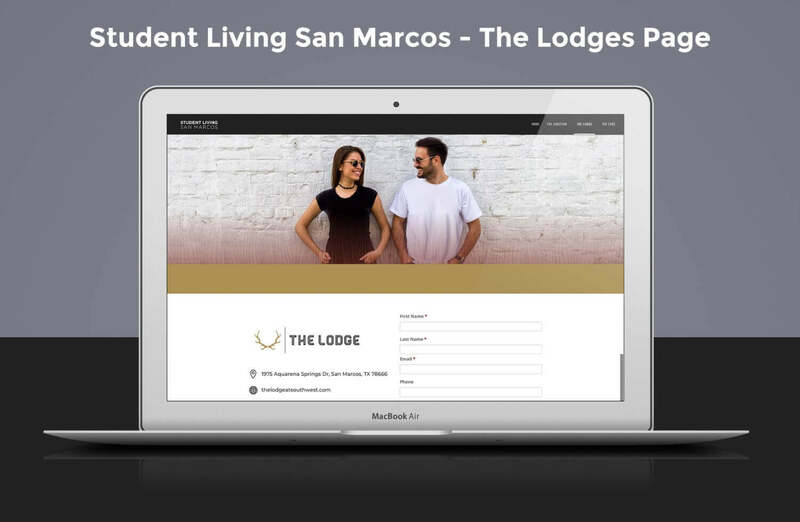 A year later, Campus Advantage acquired two additional properties in the market: The Edge (173 units) and The Lodge (258 units). 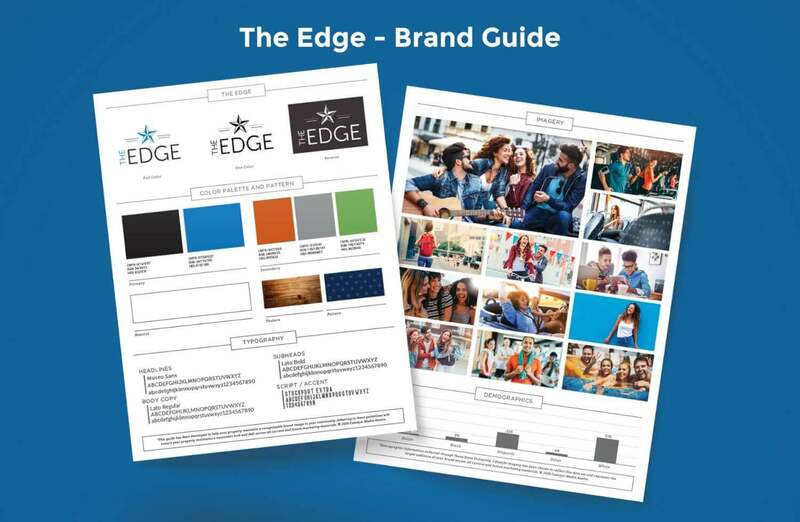 Catalyst was contracted to complete a more detailed brand guide from what was already established in the market, and added more brand depth with complementary colors, patterns, fonts, and lifestyle images. 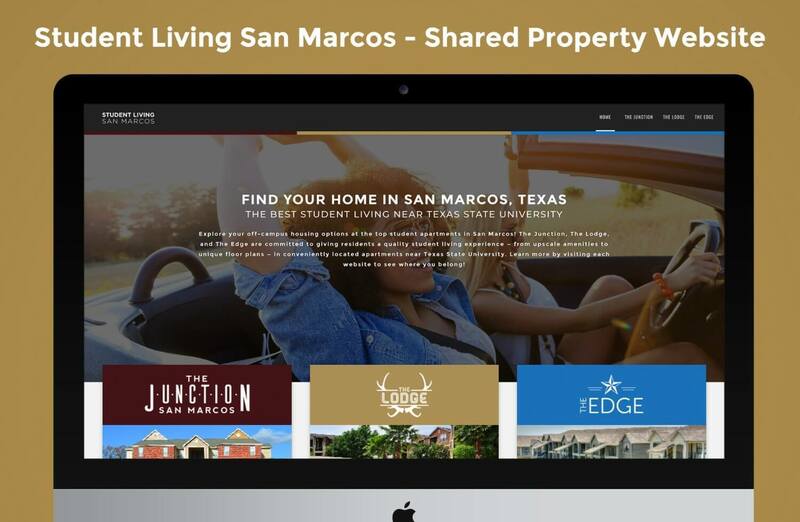 Because all three San Marcos properties are owned by the same client, a number of co-branding projects were completed — kiosks, billboards, social ads, a landing page — that successfully captured the uniqueness of each individual property, yet also worked well when unified together creatively.